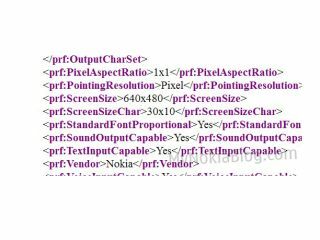 Nokia E6-00 specs leak, ready for MWC 2011? Specs pertaining to an unannounced Nokia E6-00 handset have made their way online, sparking rumours of a Mobile World Congress 2011 launch. It looks like the E6-00's 640 x 480 VGA resolution screen offers higher resolution than previous E-Series iterations and should be all you need for displaying the much-maligned Symbian^3 OS. Still, there's WCDMA/HSPA, Wi-Fi, Bluetooth 2.0 and an ARM CPU to look forward to, along with an 8-megapixel camera and dual-LED flash. Although no images of the Nokia E6-00 have leaked alongside some spurious specs, we suspect that it could be another E5 style BlackBerry-alike intended for the business user, although the addition of a touchscreen makes sense too. We base this assumption mainly on the definite inclusion of a QWERTY keyboard in the Nokia user agent file that has seeped on to the internet but partly on the unimaginative stylings of its predecessor. The true handset design remains a mystery – for all we know that QWERTY could be a slider housed under a 4-inch touchscreen like that of the E7. The new addition to the E-Series is yet to be officially announced, but as February inches closer we're looking to a Mobile World Congress 2011 reveal.